It was one in the afternoon on a weekend in January. After three hours standing I felt like I was on a boat. The wind rocked me from side to side and the rain battered my back. The water had begun to seep through the seams of my hard working coat and my wax hat. My ski gloves had given up the ghost and hung from my hands like wet sponges. I was mentally singing the praises of my waterproof trousers and grateful that I had a spare ski jacket in the boot of a jeep. I was not on a boat nor on a ski slope. I was in an arena at the yard. This is Winter. This is Ireland. Any sane person would have finished up at the first chance and headed home to lie in front of a fire or hug their radiator. I on the other hand had arranged with equally mad friends to meet at a local venue for some cross country schooling. I figured when you are as wet as you can get why not keep going? Besides, there comes a point when you realise that waiting for a dry and bright day will mean waiting a long time. So I loaded the beast into the horse box and set off for Kilcock to Grange Farm. The great thing about people claiming to have an ‘all weather’ arena is that in Ireland you can be full sure there will be plenty of opportunities to test out that claim. I can confirm that Grange Farm does indeed have an all weather arena. We arrived to find that our group of four riders were the only ones booked in that afternoon and as a result we had the place to ourselves. 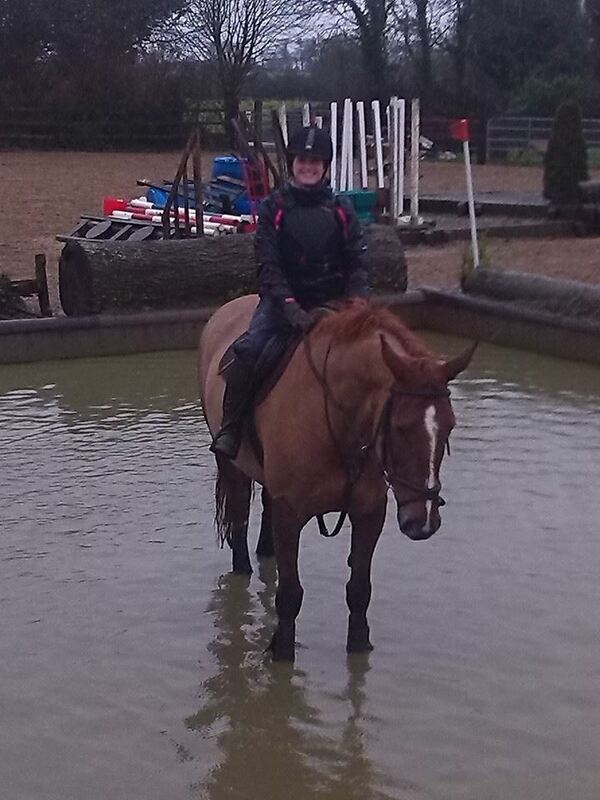 We tacked up, put on any water proof clothes we had and set off into the arena. The arena has a sand surface with small areas of grass and houses a huge amount of cross country fences and obstacles from the water complex to multi sized banks and skinnys to rollers. We warmed up over some cross poles and adjustable uprights. I was riding Dolly my giant 16.2 chestnut loan horse, My friend Dani was on board her bay gelding Baz and two new acquaintances to me Millie and Jack were riding their horses Roxie and Coronado. Once warmed up we tackled some small skinnies and then a brush fence. The brush fence proved exciting as Dolly insisted on jumping clean over it and really threw up the back legs so it felt more like a puissance wall. The mare has only done a small amount of cross country before and it was her first visit to Grange Farm so she was not quite sure what to make of it all. Our first narrow skinny of significant height was a challenge but once we cleared it she was happy to take on the others without concern. We headed over to the bank complex. The horse obliged in stepping onto a small bank before deciding that she was not completely sure if she wanted to jump back off. It was a funny situation so I left her to her own devices and after a minute she realised her only option was to pick a side and get down. Of course this act triggered some sort of recollection in her brain and after that we were up and over every bank without hesitation from the larger straight forward banks to the one with a ditch in front of it. We cleared the small coffins on the track first time which is huge progress as holes in the ground are not something a showing and show jumping horse is used to jumping over! The steps seemed to cause confusion when I presented them to her from the top so I went to the bottom and cantered towards them instead and she happily jumped up them plus once she had gone up she was not at all bothered about coming down. There was a large wide log which sat on the dividing line between the sand arena and a small grassy area. I had already mentally dismissed it at first sight as ‘too big’ but spurred on by the others I agreed to follow fearless hunter Dani and Baz over it. We decided to jump the brush fence first and then the log. The funny thing is we both cleared it the first time. Then we decided to do it again and have one of the others video it. As any rider will know, nothing will go right once a camera is produced even if it was perfect before. We approached the log, Baz cleared it and Dolly, having decided she didn’t like having a mucky landing ducked out the side. I came around again and with lots of vocal encouragement cleared the log but in a rather dramatic fashion which left me hanging off the side of her with one arm hooked over the cantle of the saddle. I am very grateful that she decided to stop when Baz did and let me climb back on top of her. At this point we had done quite a bit so each of us picked a course from the fences and set off to put it altogether. With this going well I decided to tackle our nemesis, the water fence as our final challenge. The horse is not a fan of water at all so I knew it would not be easy. I enlisted the help of Jack here who has long strong legs and a brilliant way with horses and after two minutes on board he had the horse in the water and walking, trotting and jumping in and out of it! So I sat back up myself and rode in and out of the water jumping in over the small sides at first and then over a little log. That was a much better outcome than expected so with sleet landing on us at this stage we decided to call it a day. Back at the horse boxes we rugged up the horses, wore as many clothes as we could and enjoyed some coffee and delicious flapjacks that Millie and her daughter had brought for us. Grange farm was excellent value for money and a great day out. The huge range of sizes of various heights make it easy to start small and progress throughout the session. 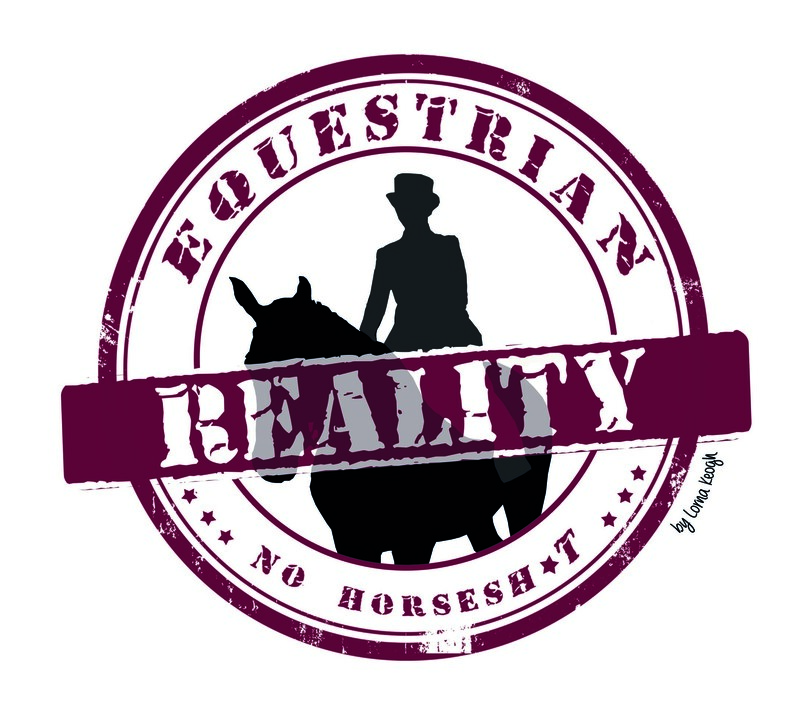 The all weather arena means that if you are so inclined you can ride in pretty much anything. I will be planning a trip back to Grange Farm soon and hope to book myself in for a lesson with owner Sally Corscadden who I have heard fantastic things about. All content published on this site is my own original content. Please do not recreate in any form with my express prior permission. Posted on March 3, 2014, in Cross Country, General, Irish Equestrian Venues & Pursuits and tagged An adverse weather cross country adventure at grange farm, cross country, cross country lesson, cross country practice, cross country schooling, cross country schooling grange farm, cross country schooling ireland, grange farm, grange farm cross country, grange farm Kilcock, grange farm kilcock cross country, horses, ireland, irish cross country, irish equestrian venues, irish equestrianism, irish horses, Sally Corscadden, xc. Bookmark the permalink. 4 Comments. What a great way to spend a soggy day. Glad it all went well despite adverse weather conditions & log-jumping misshaps!